Dr. Michael Sears is an Assistant Professor in Biological Sciences at Clemson University. He received his PhD from the University of Pennsylvania in Ecology and Evolutionary Biology, and completed postdoctoral fellowships in the Department of Biology at University of Nevada in Reno and the Department of Life Science at Indiana State University. Mike has held faculty positions at Southern Illinois University and Bryn Mawr College before joining the team at Clemson. Mike is here with us today to tell us about his journey through life and science. Mike studies ecological physiology and thermal adaptation to better understand the responses of organisms to changing environments. Specifically, he seeks to explain landscape-level patterns of the abundances and distributions of animals by understanding the basic physiologies and behaviors of individuals within a spatial context. 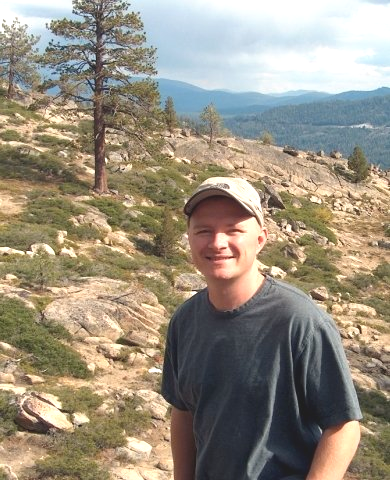 Mike especially enjoys operating at the interface of theory and empiricism in the areas of physiological and biophysical ecology, population and community dynamics, landscape ecology, and evolutionary ecology. To that end, he uses an integrative and quantitative approach to address ecological problems by combining elements not only from physiology and behavior, but also from new techniques available from Geographic Information Systems (GIS), remote sensing, evolutionary programming, statistics, and computer science.